We're in a festive spirit this month at UMP and looking for some great recipes to match. We've enlisted in our finest Minnesota authors and cooks to divulge their favorite holiday foods. Today we're launching a Holiday Recipe Spectacular in which we'll feature one Minnesota author per work day. We'll resume Monday, and by next Friday the 14th, we'll publish a printable document with all recipes included in this blog extravaganza. Please check back for more! Author of The Northern Heartland Kitchen and Minnesota's Bounty: The Farmers Market Cookbook (forthcoming this spring), and coauthor of Savoring the Seasons of the Northern Heartland. 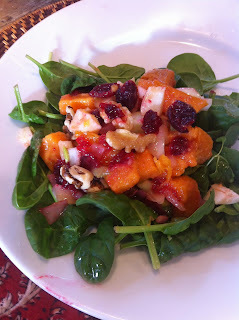 When you're making those holiday sweet potatoes, bake a few extra potatoes to have on hand for this salad. You may also use any leftover sweet potatoes or squash if they are not heavily glazed or topped with marshmallows. To make this an entree salad, toss in leftover turkey. In a small bowl, whisk together the vinegar, shallot, mustard and honey. Whisk in the oil in a slow, steady stream. Stir in the cranberry sauce. Turn the sweet potatoes, fennel, and scallions into a large bowl. Toss in enough vinaigrette to lightly coat. Season with salt and freshly ground black pepper to taste. Toss in the walnuts just before serving. Everyone will bet you for this recipe. It’s one of those old-fashioned crowd-pleasers, tender and moist yet not too sweet. It’s terrific with coffee or milk, or even a light beer or sweet wine. Lightly butter and flour a 9-inch square baking pan. In a medium bowl, whisk together the flour, baking power, baking soda, cinnamon, nutmeg and salt until blended. In a separate bowl, beat together the butter and sugar until light and fluffy then beat in the vanilla. Beat in the eggs one at a time. Fold the flour alternately with the yogurt into the butter mixture, beginning and ending with the flour mixture. Fold in the cranberries. Scrape the batter into the prepared pan and spread it evenly then tap the pan to release the air bubbles. Bake until a toothpick inserted in the center comes up clean, about 50 to 55 minutes. Remove and cool. 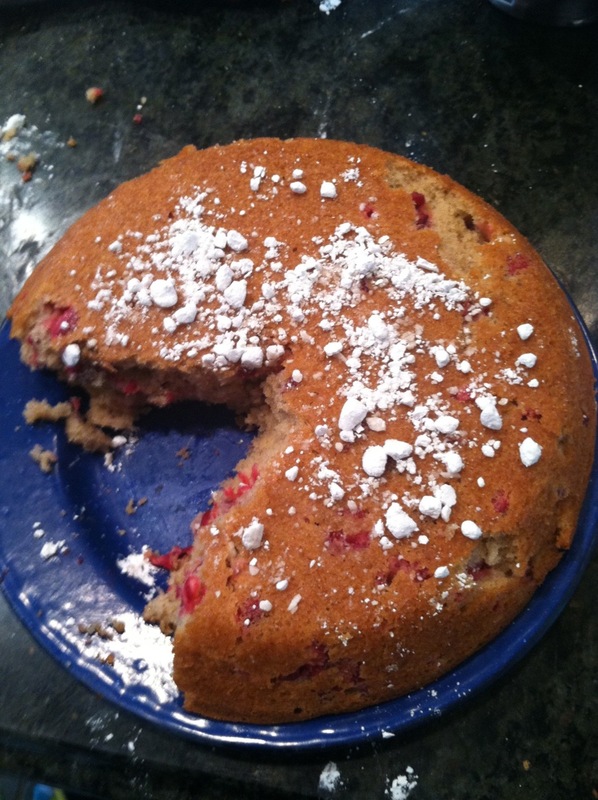 Dust with confectioners sugar if desired. Beth Dooley has covered the local food scene in the Northern Heartland for twenty-five years: she is a restaurant critic for Mpls.St.Paul Magazine, writes for the Taste section of the Minneapolis and St. Paul Star Tribune, and appears regularly on KARE-11 (NBC) television in the Twin Cities area. 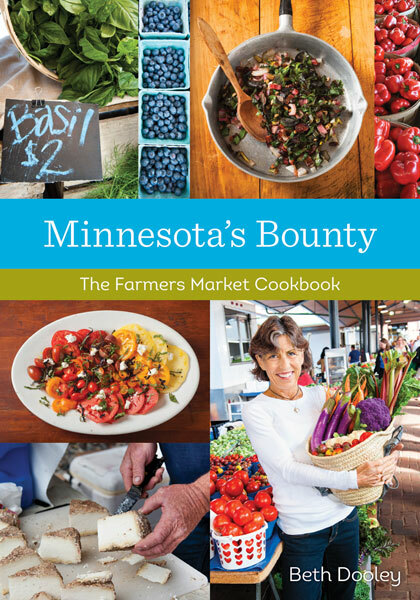 She is author of Minnesota's Bounty (forthcoming this spring), The Northern Heartland Kitchen and coauthor with Lucia Watson of Savoring the Seasons of the Northern Heartland, both published by the University of Minnesota Press. 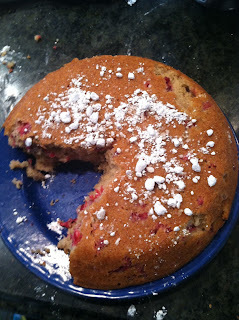 For more of her recipes, check out her blog: www.bethdooley.org.